Graham Noyes is a partner in the Energy Development practice group of Stoel Rives LLP where he focuses on the development of large scale renewable energy and water projects, renewable fuel standard representation, and the biogas and biofuel sectors in particular. 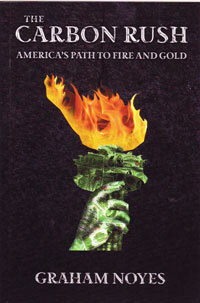 Noyes is also the author of The Carbon Rush: America's Path to Fire and Gold (2012). The book traces America's history of energy discovery, technological innovation, and combustion and illustrates how each energy innovation delivered wealth and power but also led to major controversy. Readers are treated to a detailed look of America's energy past, present, and future. For more information about the book go to http://www.thecarbonrush.com/Home_Page.php.